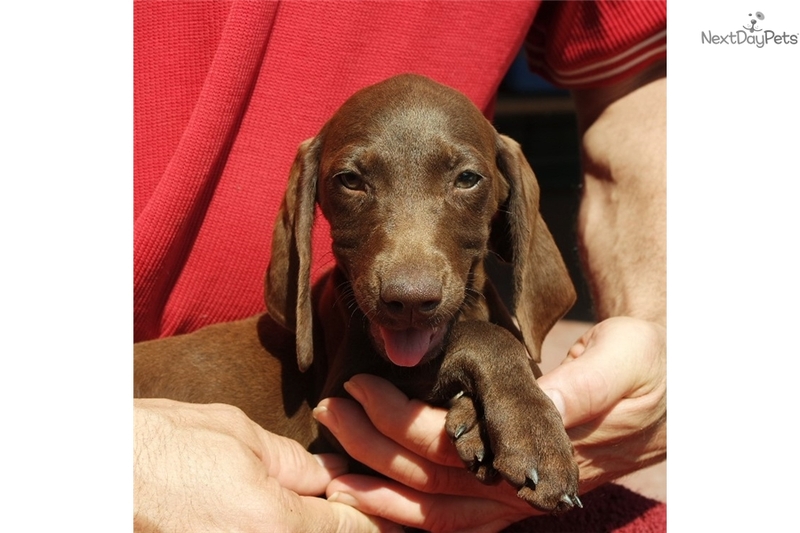 This German Shorthaired Pointer nicknamed Koko sold and went to a new family. 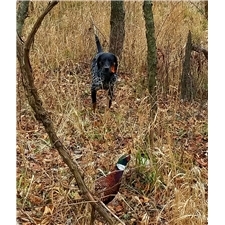 Rare liver female GSP! Koko like her sister has a calm temperament and a loving disposition. She has the potential to champion in confirmation, hunting, agility or dock jumping. Her high play drive will be an asset in all things so get ready for a fun life with her. Both parents are proven field dogs and proven puppy producers of quality. Call 517.677.9259.